As the barbaric attacks in Paris, San Bernardino, Brussels, and Orlando have demonstrated, we need to enhance our capabilities to detect and thwart terrorists as they plan attacks. With the proliferation of off-the-shelf encryption technologies and other operational security measures, terrorists are becoming harder to find by traditional technical collection methods such as wiretaps and signals intelligence (SIGINT). Meeting this threat means investing in human intelligence (HUMINT) capabilities at home—not just at the federal level, but also at the state and local levels. In an important speech nearly a decade ago, Gen. Michael Hayden, a retired four-star Air Force general and former director of both the Central Intelligence Agency and the National Security Agency, described the challenges the United States faced then and the critical importance of intelligence in winning the war on terrorism. This rings even truer today. In the age of ISIS-directed, -enabled, and -inspired attacks against our homeland, the enemy is harder to find than ever before. We have limited opportunities to detect and disrupt him. Our future success depends on our ability to adapt. It is not enough to maintain the status quo and hope for better results. Terrorists have evolved since September 11; our domestic national security efforts must also evolve. One key is the expanded use of HUMINT, which will help local law enforcement agencies combat those who seek to harm Americans. In the decade before the September 11 attack, our intelligence consisted mostly of federal entities directing their efforts at nation-states and, to a far lesser degree, at al Qaeda. After the attack, we focused far more attention on al Qaeda and its leader, Osama bin Laden. Domestically, the FBI and large local law enforcement agencies began to expand their intelligence capabilities. Within a few years, the federal government added a new cabinet-level agency, the Department of Homeland Security (DHS). It received several billion dollars annually to distribute as grants to state and local entities to prevent, prepare for, respond to, and recover from terrorist attacks. The FBI and DHS began investing in preventive resources for states and localities, expanding the Joint Terrorism Task Forces (JTTF) and creating state and local fusion centers.2 The goals were better intelligence sharing among state, local, and federal law enforcement agencies, and more robust intelligence operations within larger, more sophisticated local agencies. I belong to Darbhanga (Bihar) and was born and brought up in Refinery Township, Begusarai. My father is an engineer in IOCL and my mother is a home maker. I have done my schooling from Barauni Refinery DAV Public School and completed my B.E. (Medical Electronics) from BMS College of Engineering, Bangalore. My hobbies are playing badminton, volleyball, adventure sports like trekking, rock climbing, rappelling, rafting etc. My other interests are photography, cooking, swimming and travelling. 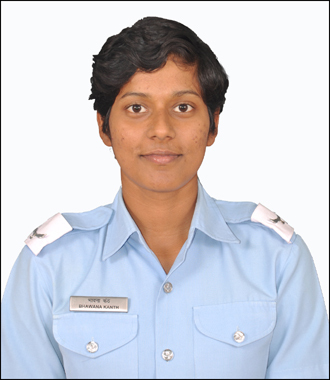 It was my dream to fly like a free bird since my childhood which inspired me to join Indian Air Force. After clearing my Stage I training, I got golden opportunity to opt for fighter stream, the best and the biggest thing that has happened to me and the best part is, it is just the beginning. It is my aim to become a good fighter pilot and fight for the nation and make my parents proud. U.S.-India ties over the past few years have become increasingly close, but this movement has evoked limited response in China. Beijing’s composure is based on three factors: (1) Indian foreign policy is independent and free of strategic commitments to another countries; (2) India has been cautious in its handling of China’s differences with the United States, most prominently the South China Sea, and (3) the focus of Chinese foreign policy is to the East and not the South. India, the weakest of these three countries, seems to be engaged in a hedging strategy to gain concessions from its two more powerful counterparts. Since Narendra Modi assumed office as the prime minister of India, there has been a visible convergence between Washington and New Delhi. The leader, who was denied entry to the United States while heading the government of the western Indian state of Gujarat, was invited to Washington D.C. by President Barack Obama soon after his May 26, 2014 inauguration ceremony. 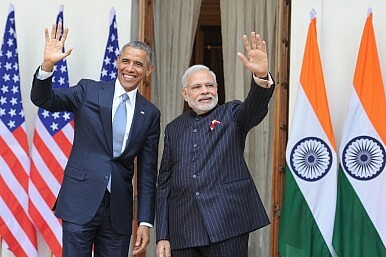 The two leaders clearly established a good personal relationship and subsequently Modi has met the U.S. president seven times, most recently on June 7-8 in Washington D.C., when he was invited to address a joint session of the U.S. Congress. Obama had earlieraccepted Modi’s invitation to be the chief guest at the January 26, 2015, Republic Day celebrations in New Delhi. 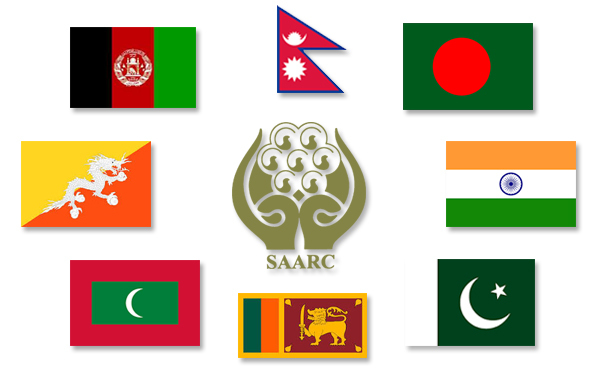 There is now a distinct possibility that in the 19th summit of the South Asian Association for Regional Cooperation (SAARC) to be held in Islamabad and Murree in November this year, Pakistan may press for the inclusion of China as a full member of the of the organization. It may be mentioned here that in the 18th summit of the SAARC held in Kathmandu in 2014, China, enjoying only an observer status now, had made an all out effort for full membership which was thwarted by India at the last minute. But in Kathmandu, the question of Chinese membership had brought to fore the wide chasm that has gripped the SAARC now with countries like Pakistan, Sri Lanka and Maldives supporting China’s inclusion as a full member and thus virtually isolating India within the organization. That India could save the day ultimately was entirely due to its size and the weight it commands within the organization. Ironically, this has become a bane of the SAARC now and an air of mistrust towards New Delhi arising out of ‘Indian big brotherly attitude’ reigns, rightly or wrongly, supreme among most of the members while China has been successful in maintaining good relations with the same countries. It is certain that attitudes of Bangladesh and Nepal will be vital if the issue of Chinese membership comes up at the Pakistan summit. Both the countries may be described as leaning significantly towards China’s orbit of influence. August 1971 onwards, we were living in interesting times. Talk of war was in the air and for young officers like me, in their early twenties, those were heady days. I was the Adjutant of 4 Sikh, which as 36 Sikh in 1897 had fought the epic battle of Saragarhi on the the Samana Ridge, where 21 soldiers fought to the last man while defending a post. On November 11, 1971, my battalion commenced operations in East Pakistan on November 11, 1971. We advanced north from the Boyra salient, which is 30km west of Jessore and secured an area around Makapur village, 6 km inside East Pakistan. We had some patrol clashes, but no worthwhile engagement took place. The main defences of Pak 107 Infantry Brigade were in a compact arc around Jessore, 30 km to the east. Since Pakistani troops were not offering battle, it was decided to advance further. On November 19, a squadron of brand new T 55 tanks of 63 Cavalry (CAV), joined us. On November 20, 4 Sikh advanced cross-country towards Chaugacha, along with the squadron of tanks of 63 CAV. One infantry company was mounted on the tanks and three other companies moved behind them on the trot. We were engaged by forward elements of Pak 107 Infantry Brigade. These were quickly scattered by tank and artillery fire. Our jawans were full of josh and were cheered by the locals who shouted “Joy Bangla”. Cries of “Jo Bole So Nihal”, the battle cry of 4 Sikh, also rent the air. Dust plumes were going high up in the air due to artillery fire and tank movement. The scene was reminiscent of the World War II movies like Battle of the Bulge. Defence and security company Saab today outlined the Gripen NG concept for India during a press seminar. Saab recently unveiled in Linkoping the Gripen E, its first test aircraft of the next generation Gripen, and has comprehensive plans to further design, develop, manufacture and maintain the aircraft in India through transfer of technology. Gripen E is the variant of Gripen NG that has been selected by Sweden. Gripen NG is the most advanced multi-role fighter in the world. 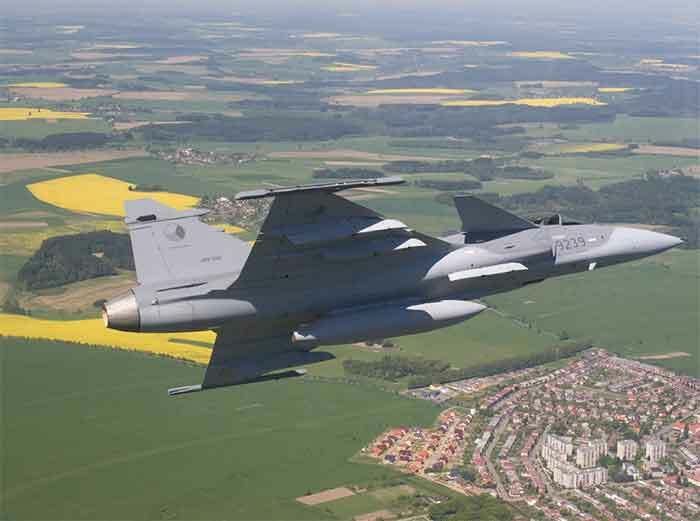 Gripen is, by design, a true multi-role fighter aircraft, capable of performing an extensive range of air-to-air, air-to-surface and reconnaissance missions under all conditions in any environment. Using the latest technology, sensors and weapon systems, it is designed to meet the demands of existing and future threats, while simultaneously balancing strict requirements for mission success, reliability, training efficiency and low operating costs. 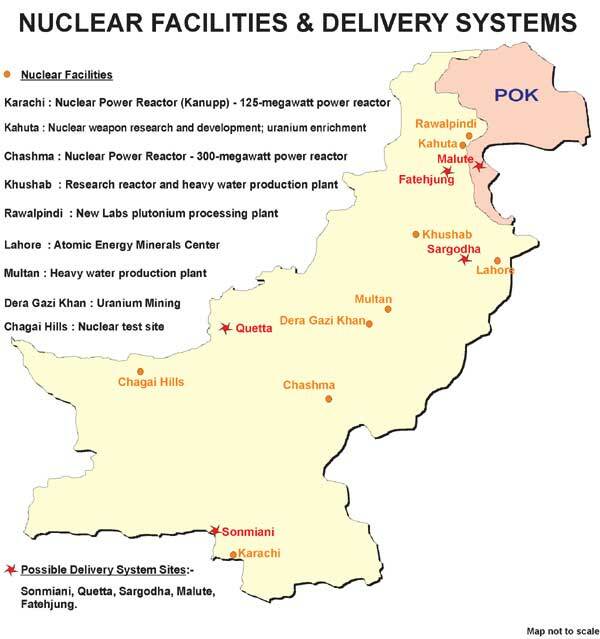 In 1998 after the Pakistani nuclear tests, the estimates were that Pakistan may possess and have the fissile material for about 20 Nuclear warheads with a potential yield of 20-30 Kilo Tons of TNT equivalent (usually called 20KT-30KT). It was assumed that 20-30 nuclear weapons will be sufficient for Pakistan. However, the numbers have gone up 4 times and there is no indication of stopping the maddening spiral of this race. The relentless illogical increase in number of nuclear bombs with Pakistan is becoming riskier with each new nuclear weapon. …the obvious source of such a weapon in the hands of terrorists – specifically Islamic terrorists – will indeed be Pakistan. Late Dr. APJ Abdul Kalam, India’s ex-President had a mild phrase for the illogical, fanatic, fringe groups including terrorists. He would address them the “funny fellows” – a term that was the most intense rebuke one of our greatest scientists could draft in his soft spoken manner – but it was always an intense rebuke. I am reminded of the phrase “Funny Fellow” as I sift through the details of disgusting Orlando killing in USA. 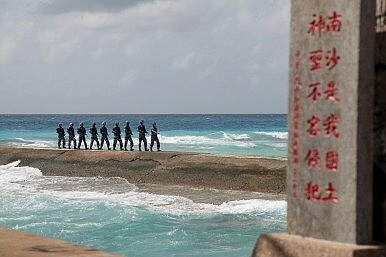 A year and a half ago, the contested South China Sea (SCS) was awash in international intrigues and legal maneuverings. On December 7, 2014, two days after the U.S. State Department released Washington’s legal views on Beijing’s disputed nine-dash line (NDL) claim in the SCS, China’s Ministry of Foreign Affairs (MFA) released a position paper outlining China’s objections to the jurisdiction of the International Tribunal of the Permanent Court of Arbitration (PCA) at The Hague while reiterating its intent to not participate in the legal proceedings initiated by the Philippines. On December 11, 2014, Vietnam also issued a formal statement to the Tribunal supporting the Philippines’ arbitration case and expressing its own opposition to China’s maritime sovereignty claims in the SCS. The release of all three legal opinions came before the December 15, 2014 deadline for China to formally respond to the case brought by the Philippines to the PCA in early 2013. The timing of the releases suggested Beijing, Washington, and Hanoi all recognized the strategic imperative to occupy the legal and moral high grounds and influence the Tribunal prior to the jurisdictions ruling last October and merits ruling expected soon. 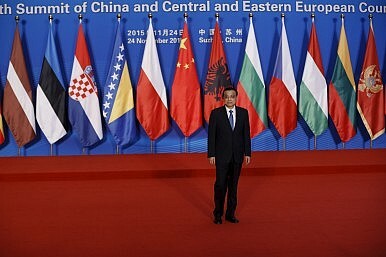 It is not difficult to see why the China-initiated “16+1” platform, grouping together China and 16 countries of Central and Eastern Europe (CEE), has been perceived as an esoteric one. While Central and Eastern Europe commonly refers to the part of the Europe with a shared communist past, the countries in this region have never previously jointly made up a single political community, nor do they share many similarities. In recent times, CEE countries have had vastly different political and economic development trajectories. For example, while the Baltic and Central European countries have achieved a solid level of economic development, the Balkan countries customarily grace the bottom of the rankings indicating levels of economic and political progress in Europe. Furthermore, the 16+1 platform overlaps with several existing integrative mechanisms and spheres of influence. The CEE members of the initiative include both countries that are members of the EU and NATO and those that do not belong to one or both of these clubs. Among themselves, the CEE countries also significantly differ in how they view and manage their relationships with Russia, another influential regional power. To add to that complexity, many among the 16 countries have underdeveloped economic and political links with each other, while some have complicated and problem-laden bilateral relationships due to historical legacies and various existing disputes. Unsurprisingly given such a complex pattern of multilateral arrangements and mutual relationships in the CEE region, the European members of this group have trouble finding common interests and articulating common policies under the 16+1 framework. First, we have not seen the disclosure of a likely Chinese state-sponsored cyber operation akin to the U.S. Office of Personnel Management data breach revealed in June 2015. This in no way means that these sorts of attacks are not occurring at the moment. However, the fact that neither country has chosen to publicize any large-scale attacks in 2016 indicates a willingness by both sides to at least attempt to find a modus operandi in cyberspace that will not have spillover effects into other parts of the bilateral relationship.Enjoying this article? Click here to subscribe for full access. Just $5 a month. 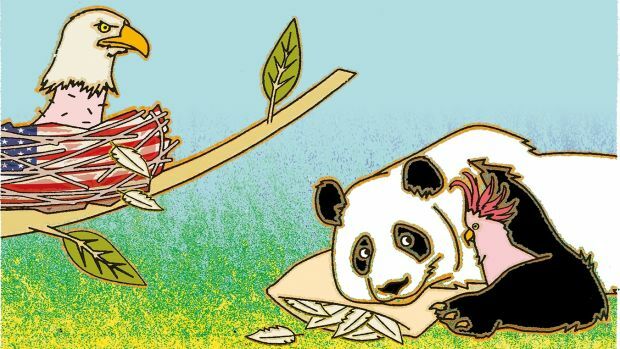 China’s transformation from an isolated, developing country into an economic juggernaut and emerging global actor is perhaps the most important power shift for twenty-first-century international politics. Its economy is now second largest in the world, while its military budget has ballooned from $20 billion in 1989 to $215 billion in 2015—an amount larger than the military budgets of Russia, Germany and the United Kingdom combined. Fear surrounding the consequences of China’s rise has engendered the spread of misinformation and hyperbole, much of which dominates public discussion of China in the United States. Several persistent “myths” about China overshadow its many problems, including its deeply ingrained corruption, slowing economic growth and aging population. These myths create an image of China as a dangerous usurper destined to displace the United States as the dominant global power. Breaking down the myths about Chinese power is critical to understanding China’s rise, its potential role in the international community and the evolving nature of U.S.-China relations. Myth #1: China is a global military superpower. 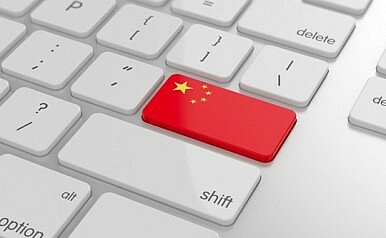 US authorities on Tuesday charged a former Chinese employee of tech giant IBM Corp with economic espionage for allegedly stealing proprietary source code to hand over to a Chinese government agency. The US Department of Justice said Xu Jiaqiang (許家強) had been a developer for an unnamed US company when he took the source code, intending to provide it to the Chinese National Health and Planning Commission, where he previously worked. At the same time, he offered the code, the essential kernel of software programs often held tightly by their owners, to US FBI agents posing as tech company officials seeking software for their company. After an investigation that lasted more than one year, Xu was arrested in December last year and charged with theft of trade secrets. Tuesday’s indictment supersedes that charge with three counts of economic espionage, each of which could bring 15 years in prison, and three counts of trade secret threat, which carry 10 year sentences apiece. The indictment did not name IBM, and the company did not return queries. US officials did not confirm IBM’s involvement. However, the company’s Web site and a LinkedIn profile both name a Xu as a developer at IBM, and media reports since the December arrest also put him at the company. A Chinese naval intelligence ship temporarily entered Japan’s territorial waters in the early hours of 15 June, Japanese officials said. This is the first time a People’s Liberation Army Navy (PLAN) vessel has been confirmed as entering Japan’s 12 n mile territorial seas since a Han-class nuclear-powered attack submarine entered Japanese waters off Ishigaki Island in 2004. A Japan Maritime Self-Defense Force (JMSDF) Lockheed P-3C Orion maritime patrol aircraft spotted the PLAN vessel - identified as a Type 815 Dongdiao-class intelligence ship - west of Kuchinoerabu Island in southern Japan at around 0330 h local time, said officials at Japan’s Ministry of Defense. Owing to the increasing belligerence demonstrated by China in recent times on the South China Sea (SCS) issue, this oceanic space has emerged as a major flashpoint in the Asia-Pacific region as there are several claimants to this disputed maritime territory. While several smaller nations of the ASEAN grouping claim to some parts of the SCS which are in their exclusive economic zones, China claims its sovereignty over the region in its entirety. It has declared the SCS as one of its core interest, along with Tibet and Taiwan. Vietnam and the Philippines have contested Chinese claim vigorously. While Vietnam is getting prepared to repulse to any Chinese advance and also beefing up its defence relationships with countries friendly to it such as the US, Japan and India, the Philippines has taken up the case before the international tribunal for arbitration. China has already announced that it would reject the world court verdict if it goes against it. China has categorically said that it does not recognise the arbitration and has reacted angrily to the Philippines’ legal efforts over Beijing-controlled Scarborough Shoal, which sits just 230 kilometres off the main Philippine island of Luzon. While the US and regional powers are awaiting the official response to the tribunal court ruling before reacting, Beijing stands firm. The US and the European Union have urged China to respect the ruling from The Hague when it comes. China has ignored such advice. The court has no powers of enforcement and its rulings have been ignored before. China bases its sovereignty claims on historical maps, which it has circulated with an arbitrary nine-dash line. Based on this map, China claims its jurisdiction over the bulk of the maritime space in the SCS in total disregard to other claimant nations and in violation of the universally recognised principles of international law including the 1982 UN Convention on the Law of the Sea (UNCLOS). The UNCLOS does not recognise historical claims and permits coastal states an exclusive economic zone of up to 200 nautical miles and a continental shelf up to 350 nautical miles. 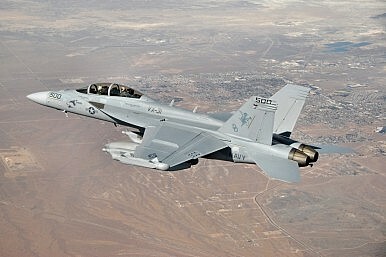 Amid rising tensions in the South China Sea, the United States Navy dispatched four U.S. Navy EA-18G Growler airborne electronic attack aircraft and about 120 military personnel to Clark Air Base, an air force base located on Luzon Island in the Philippines, according to a U.S. Seventh Fleet press release. The four aircraft and 120 personnel arrived on June 15 for training with Armed Forces of the Philippines (AFP) FA-50 aircraft pilots and to support U.S. and Philippine naval operations in the South China Sea, as the statement makes clear with a veiled reference to so-called freedom of navigation operations (FONOPs) in the disputed waters. “In addition to bilateral training missions, Growler aircraft will support routine operations that enhance regional maritime domain awareness and assure access to the air and maritime domains in accordance with international law,” the press release reads. WASHINGTON—A long- promised plan by President Barack Obama to shift control of drone campaigns around the world gives the U.S. military more responsibility but retains a Central Intelligence Agency role in the targeted-killing program, according to officials briefed on the arrangement. Mr. Obama’s plan settles a three-year turf battle among the CIA, the Pentagon and a divided Congress over whether the time has come to scale back the CIA’s quasi-military role 15 years after the attacks of Sept. 11, 2001. 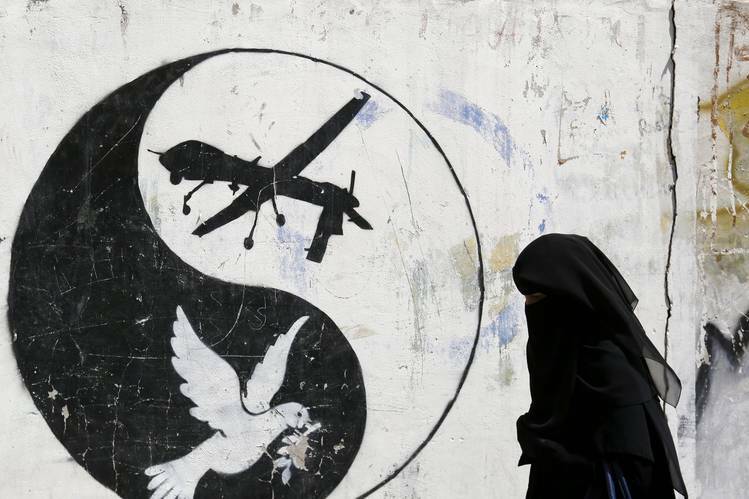 The revamp stops short of giving the U.S. military’s Joint Special Operations Command the full control of the drone wars that its congressional backers have sought. It also deals a setback to advocates inside and outside the administration for ending CIA involvement in lethal action so the agency can refocus on its core mission of gathering and analyzing intelligence. The turf fight between JSOC and the CIA over drones highlights how government agencies and their supporters in Congress compete with one another for counterterrorism resources and, in this case, authority over the coveted role within the bureaucracy of pulling the trigger. After Orlando and San Bernardino and Paris, there is new urgency to understand the signs that can precede acts of terrorism. And with the Islamic State’s prolific use of social media, terrorism experts and government agencies continually search for clues in posts and Twitter messages that appear to promote the militants’ cause. A physicist may not seem like an obvious person to study such activity. But for months, Neil Johnson, a physicist at the University of Miami, led a team that created a mathematical model to sift order from the chaotic pro-terrorism online universe. Experts who study terrorism and online communication said that the new research was informative, and that they appreciated that the authors would make their data available to other researchers. But they cautioned that the actions of terrorist groups are extremely difficult to anticipate and said more information was needed, especially to substantiate any predictive potential of the team’s equation. Do civilian lives matter in war? Critics argue that any restrictions on the use of force beyond the Law of Armed Conflict (LOAC) are self-defeating and result in more American military deaths. Some Republican presidential candidates have advocated torture, carpet bombing cities held by ISIL, and targeting family members of militant leaders. Top military officials have pushed back, noting that such actions would violate the laws of war. Other former officials, meanwhile, deride restrictions on the use of force in Iraq and Syria. With 15 years of battlefield experience since 9/11, the military has the data to more effectively manage the complex interactions between strategic interests, force protection, and civilian protection. How the U.S. military uses this data will signal its seriousness about learning and adapting from recent conflicts. The way forward is laid out in my new report with co-authors Rachel Reid and Chris Rogers from the Open Society Foundations, The Strategic Costs of Civilian Harm: Applying Lessons from Afghanistan to Current and Future Conflicts. My co-authors and I interviewed more than 60 senior U.S. and Afghan officers, diplomats, aid workers, and other experts, including former Afghan president Karzai and two former International Security Assistance Force (ISAF) commanders — Generals David Petraeus and John Allen. We also took a deep dive into the academic literature and recent empirical studies to develop our findings and recommendations. If Omar Mateen acted alone in plotting the massacre of 49 people at Orlando’s Pulse gay nightclub, he would be the exception rather than the rule in U.S. cases involving suspected Islamic State supporters. Sunday’s worst mass shooting in modern U.S. history prompted renewed warnings from officials of “lone wolf” attackers, a term that commonly invokes images of isolated individuals, radicalized online by violent propaganda and plotting alone. But a Reuters review of the approximately 90 Islamic State court cases brought by the Department of Justice since 2014 found that three-quarters of those charged were alleged to be part of a group of anywhere from two to more than 10 co-conspirators who met in person to discuss their plans. were almost always in contact with other sympathizers, whether via text message, email or networking websites, according to court documents. Fewer than 10 cases involved someone accused of acting entirely alone. The “lone wolf” image obscures the extent to which individuals become radicalized through personal association with like-minded people, in what might be termed “wolf dens,” experts on radicalization and counter-terrorism say. “We focus so much on the online stuff that we’re missing that there’s a very human connection going on here,” said Karen Greenberg, who runs the Center on National Security at Fordham University in New York. As facts emerge about Omar Mateen, the gunman who killed 49 people at a gay nightclub in Orlando, Florida, on Sunday, questions have arisen about how well-known he was to U.S. intelligence agencies. Federal Bureau of Investigation Director James Comey said on Monday that Mateen was on a watchlist between May 2013 and March 2014 while he was under investigation after claiming a connection to or support for multiple Islamist extremist groups, including al Qaeda, Hezbollah, al-Nusra and Islamic State. The FBI maintains three watchlists and the Office of the Director of National Intelligence runs one database. People are placed on a watchlist according to the threat level they are believed to pose. Comey did not specify which watchlist named Mateen. Democratic presidential candidate Hilary Clinton has supported stricter gun laws and said on Monday she would push for laws that would prevent people on a no-fly list from buying guns. Republican presidential candidate Donald Trump, who has embraced gun rights, said he would meet with the leading U.S. gun rights group about preventing people on a government watchlist from buying guns. Terrorist Watchlist or Terrorist Screening Database (about 420,000 names): Established after the Sept. 11, 2001, attacks, the Terrorist Watchlist is intended “to positively identify known or suspected terrorists trying to obtain visas, enter the U.S, board aircraft, or engage in other activity.” Prior to 2001, intelligence agencies maintained dozens of individual lists. The Terrorist Watchlist is run by the FBI’s Terrorist Screening Center with the goal of consolidating the U.S. government’s watchlists into a single database. When restrictions on Iran’s oil exports were relieved in January following a nuclear pact with world powers, analysts from Goldman Sachs Group Inc. to Barclays Plc doubted it could return to previous levels this year. The Persian Gulf state defied the skeptics with a 25 percent surge in production and aims to reach an eight-year high of 4 million barrels a day by year-end. Returning to world markets after more than three years of isolation, Iran is seeking more than $100 billion of investment from international partners to rehabilitate its oil industry and ultimately reclaim its position as OPEC’s second-biggest producer. Still, companies are waiting for Iran to approve the contract model to be used in deals and for clarity on remaining U.S. sanctions before re-entering the country. We've seen this movie before, but still don't know how it ends: According to unconfirmed reports, the so-called caliph of Islamic State, Abu Bakr al-Baghdadi, was killed by a U.S. airstrike in Raqqa, Syria. Similar rumors cropped up at least twice before, in January and October of last year, and both times the news of his death was greatly exaggerated. As for the latest report, U.S. Special Presidential Envoy for the Global Coalition to Counter ISIL Brett McGurk said, "We have no reason to believe that Baghdadi's not still alive, but we have not heard from him since the end of last year." Baghdadi's silence or even death might seem like excellent news for the fight against the jihadists. An accomplished scholar of the Koran, he was named the "commander of believers" globally by Islamic State in 2014, a title not held since the fall of the Ottoman sultan. But some military strategists and scholars of Islam make a strong argument that the U.S.-led coalition would be better off if Baghdadi remains alive and in charge. 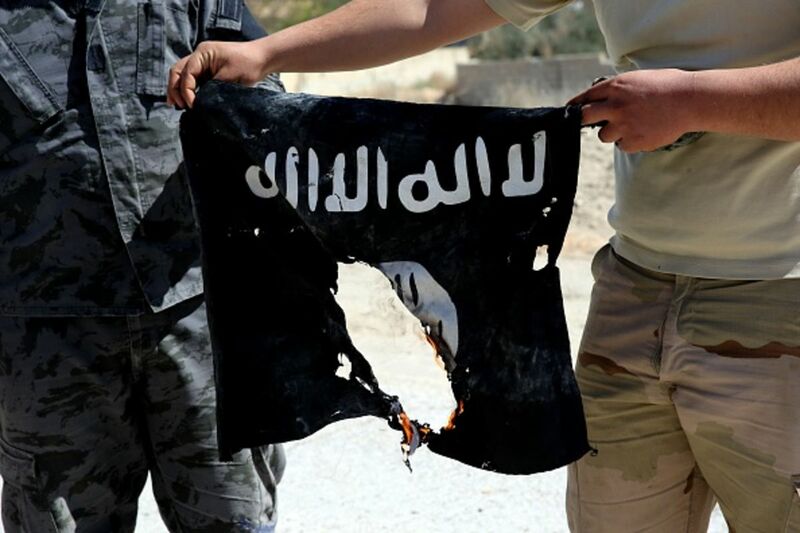 Consider a 2014 study by Jenna Jordan of the Georgia Institute of Technology on so-called decapitation strikes against major terrorist groups. On the death of al-Qaeda founder Osama bin Laden, she writes, "decapitation is unlikely to diminish the ability" of al-Qaeda, "rather, it may have counterproductive consequences, emboldening or strengthening the organization." Rodrigo Duterte says he would call for multilateral talks to resolve disputes over the South China Sea if elected Philippine president. Great sea changes of foreign-policy opinion are rare in Australian politics, taking place perhaps once in a generation. But there is ample evidence that we are undergoing one now. We all know that Australia has marched in lockstep with the US in every major military dispute for decades. Less apparent, however, is how deeply skeptical we are about Washington's staying power in Asia and how relaxed we are about China's rise. The United States Studies Centre released a survey last week on Asian-Pacific views on the United States' place in the region. The findings are striking: 80 per cent of Australians believe America's best days are behind it and 53 per cent think China will or has already replaced the US as the world's leading superpower. To the extent that such attitudes prevail, they are inimical to the notion of US global leadership in the post-Cold War era. There is good reason to believe that such attitudes will prevail, especially if the Coalition is re-elected on July 2. Although the Gillard government enhanced security ties with the US in 2011-13, its conservative successors have struck a different tone, lest our defence posture upsets China. The hackers who spent at least a year lurking inside the Democratic National Committee’s computers weren’t just any cybercriminals. They’re suspected in a number of high-profile attacks against the US and other Western countries going back almost a decade. Now investigators say they’re directly tied to Russian spy agencies. In addition to swiping research on Donald Trump from DNC networks, experts say these two outfits have previously stolen research on Hillary Clinton, and have also spied on computers belonging to Republican operatives. While the Russian government denies any involvement with the DNC hack or these two operations – which the cybersecurity firm Crowdstrike referred to as Cozy Bear and Fancy Bear – many experts say the digital theft is a further sign that hacking is becoming the preferred tool for modern day espionage. “We have high level confidence both are Russian intelligence agencies,” Dmitri Alperovitch, Crowdstrike chief technology officer, told Passcode, adding that it remains unclear which Russian agencies are behind the attacks. “With Fancy Bear we have medium level confidence it’s GRU, which is Russia’s military intelligence agency, and with Cozy Bear we have low level confidence it’s FSB, the Russian federal security service,“ he says.